DWL040 . Released May 2004 . Add to Cart : $5 Description Our fourth compilation, with a focus on indiepop/electronic convergence. 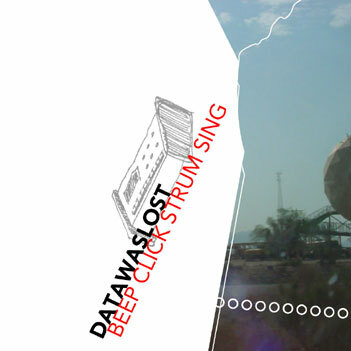 Reviews This is one of the best comps I've heard in a long time.. Datawaslost is successfully doing what every DIY label/artist collective/punk rock commune wishes they could: putting forth an eclectic mix of very good self-produced (and well-produced) music. Some labels do their homework and put out superior compilations. Datawaslost is at the top of that list. Dig in an prepare to be amazed. Grasping onto a variety of great artists, this is one of those compilations that's a must-have for finders of new and exciting music.. Absolutely superb. Like a mixtape from heaven..